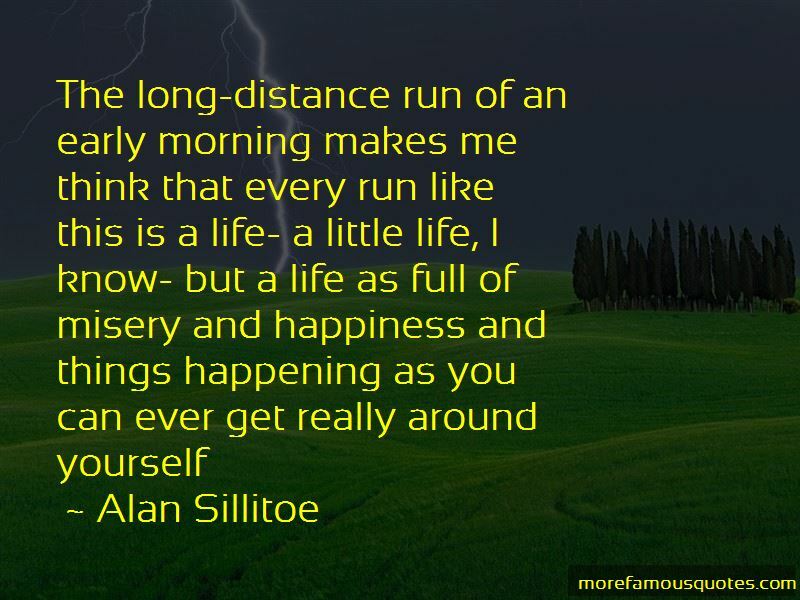 Enjoy the top 27 famous quotes, sayings and quotations by Alan Sillitoe. They sat as if the weight of the world had in this minute been lifted from them both and left them dumb with surprise. But this lasted only for the moment. Arthur held her murderously tight, as if to vanquish her spirit even in the first short contest. But she responded to him, as if she would break him first. It was stalemate, and they sought relief from the great decision they had just brought upon themselves. He spoke to her softly, and she nodded her head to his words without knowing what they meant. 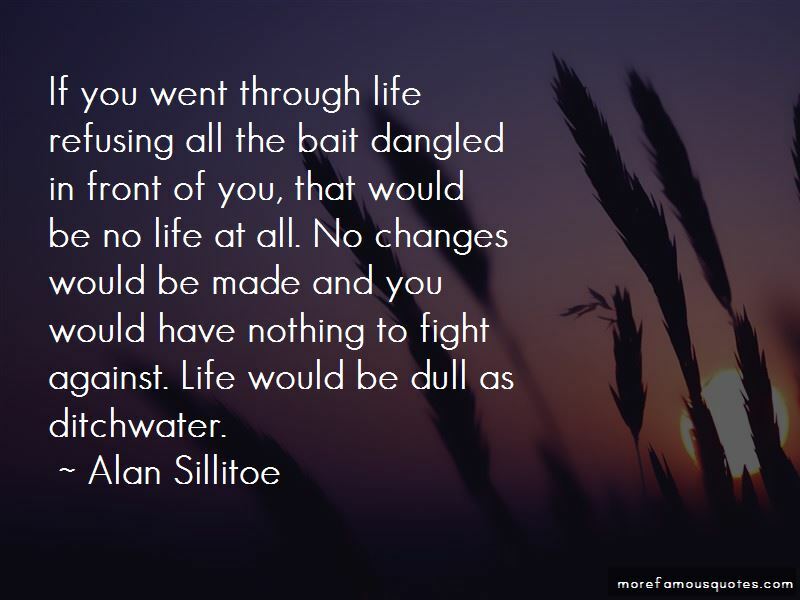 Neither did Arthur know what he was saying; both transmission and reception were drowned, and they broke through to the opened furrows of the earth. Gulls, aeroplaning above the chimney pots, were calling that he must talk to Laura about his plans. He needed no telling, for once in tune to their outlandish cries. 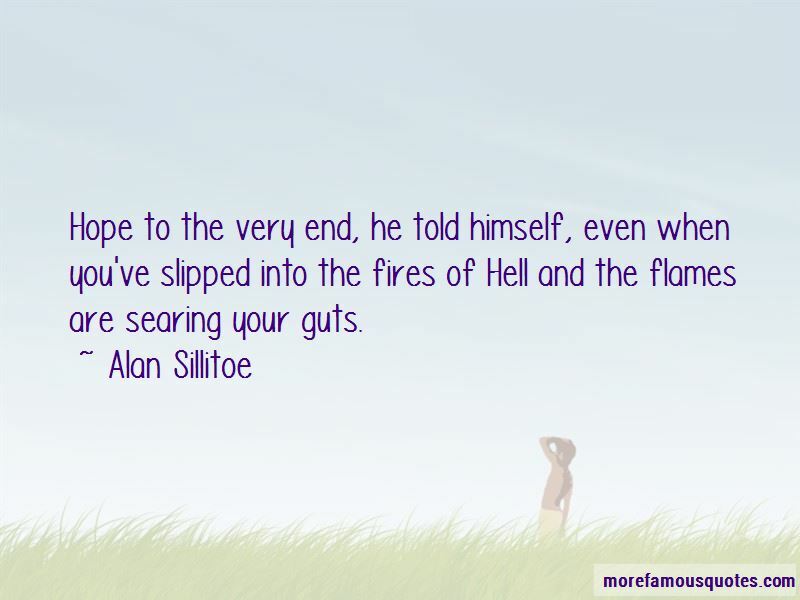 Want to see more pictures of Alan Sillitoe quotes? 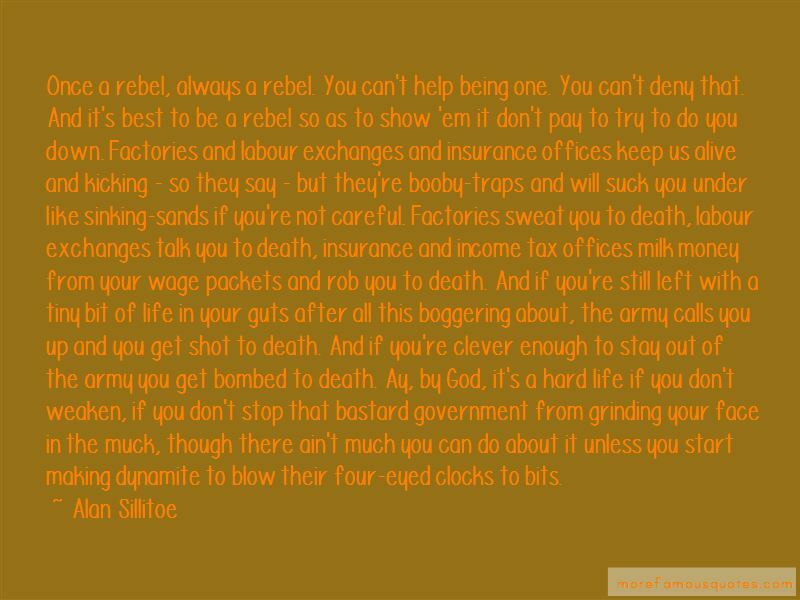 Click on image of Alan Sillitoe quotes to view full size.